On January 19th, 2018, Matt Botos and Jamie Johnson discuss ConnectFood, a platform that's looking to disrupt the traditional model of business risk in food safety reporting. Matt has worked in state government and food safety regulations for almost two decades and recognized the high time and expense that organizations face in reporting food safety requirements. Connect food seeks to improve that process, improving the safety of our food supply chain and lead to significant cost savings. Jamie: Welcome back to episode eight of the Verde Podcast. 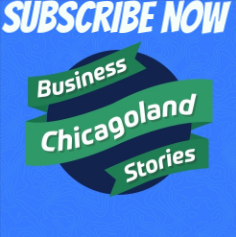 Every week, we talk to local business leaders and entrepreneurs to understand the real story that doesn't make it to the spotlight but is how actual businesses are actually built here in Chicago. Today, we have Matt Botos, who's founder and CEO of Connect Food. Welcome, Matt. Matt Botos: Thank you very much. I appreciate it, Jamie. It's great to be here and talk about my passion. Jamie: Longer than we want to admit. Yeah, 20ish probably years. Tell me a little bit about Connect Food, how you started the business, why, what drove you to take the leap into getting it off the ground. Matt Botos: Sure. I'm the former director of the State of Illinois Food Safety and Technology Center, so I saw a massive need to help food companies with their fundamental food safety plans. The question is how do you do that? How do we do that online? I would say that when I started in the industry in '95, we weren't ready. The food industry kind of lags behind in the way they adopt technology and what we decided to do at Connect Food is that we would have an online portal to kind of reduce a regulatory pain point. In 2011, Congress established the Food Safety Modernization Act, which essentially said that every food company needed to retake their food safety driver's test, so there's large companies that were ready. They have all those resources and things of that nature, and then there's the small- and medium-sized food companies. It's estimated that there's 125,000, give or take, food companies registered with the Food and Drug Administration. Jamie: Is that in the US? Matt Botos: It's in the United States. Correct. Then from those companies, 80% of them probably have less than 100 employees, so what kind of resources do they have? We wanted to have the best technology in the world in order to help them with their food safety plans. Instead of having to go to a consultant or go to a university extension service, we wanted an online portal where they could go in, tell their story about what product they make, whether it's a salsa or kind of a bakery product, and then give them the tools that are online if they can follow through that. It's not unlike a TurboTax for food manufacturers, but we wanted them to be able to go online, tell their story, and then one of two things. If they're comfortable with the plan that is produced by the technology, then they can use that as they would. If you're going to sell to a large grocery store chain, they want to know, "Do you make your product safely?" You have state and federal regulators that come into your facility to inspect and you have to be able to tell your story. The old saying in the food industry is that if you haven't documented it, you really haven't done it. That's what they're looking for and so we provide that at Connect Food and just the whole range. Just imagine walking into your favorite grocery store and looking at all those products from the refrigerated section all the way through canned goods to things in jars to things in boxes. Each one of those products has to have a food safety plan. Jamie: Is your customer the manufacturer of the foods, typically? Matt Botos: No. That's a great question. When we first set out, we wanted to be kind of a knowledge collection portal. "Hey, let's talk about how we're making this. Hey, I need help doing this." We found out that that really wasn't a sustainable business model, so what we did is we started targeting people that actually make food products. There's different kinds. There's the person that owns their own cookie company and then there's a person that goes to what's kind of a contract manufacturer or co-packer, and that co-packer can make 100 different products for a brand owner, but what we're finding now is that so many entrepreneurs in the local foods movement that actually own restaurants really want to figure out how they can put their product on a store shelf. They're looking for resources and our goal eventually, and I think we're well on our way, is to be the number one company in the world that provides food safety technology for companies. Along with that, too, we have a whole stable of food safety experts that we work with. Somebody comes in with a complex question, we can go to a PhD in food science or a PhD in food packaging and they can help on that larger project. It's not only a subscriber model. It's also a model where we're bringing on more complex products. Jamie: What were you doing professionally when you decided to take the leap into starting Connect Food? Matt Botos: Well, it's been up and down. I started out designing food and pharmaceutical processing systems and then selling aseptic packaging. Then I came to work at a not-for-profit, which was the Food Safety Center here in the State of Illinois, so you kind of got a big picture there. Had a little change. Went and did a startup that didn't work out exactly the way I wanted it to, so that was a good lesson learned, and then went back into a consulting just on my own. I said, "Hey, I can help you with your food safety plans or I can help you with an engineering design," and then when I sat down with some other people and we talked about, "Wow. We can really do this online." My programming team is the best in the world, so the technology that they put out there is amazing. Jamie: Cool. What year was it that you started it? Jamie: So you've been doing this for a couple years? Matt Botos: I've been doing it for a couple years. It's interesting talking. We started growing so much in Chicago and obviously, we reconnected at 1871 and then there's Matter and then there's other of these spaces where all these good ideas are coming together. It just really seemed like the thing to do and initially, I think that I was a little frustrated that everything didn't take off faster, but as you talk to more entrepreneurs and you talk to more people, you realize that it's ... You just don't get out there and write code and then become a millionaire. Jamie: Yeah. Everyone has the vision of the Facebook story where it just started and kept accelerating day after day, month after month. Everyone hears from when it took off, not the nine years that it took leading up to the idea of grinding it out. That's the real way businesses are built. People forget that. Matt Botos: Well, and when you're an individual contractor and you're working with food companies on a day-to-day level. I love being in a food manufacturing facility, sometimes sitting behind computers can be difficult, but the team that we've built at Connect Food is amazing. It spans all across different skillsets. You've got organizers. You've got coders. You've got people that focus on sales. It really does take a team and Connect Food would be nothing if we didn't have all those people behind us. That's another thing you learn and it takes six, seven, eight years to build all that there. Jamie: For sure. You kind of already started talking about it, but what are your favorite parts about running the company? For me personally, I tend to enjoy more customer interactions and being out in the field than I do operational-minded. It sounds like you've got some similarity, but you also have a lot of pride in your team. What do you wake up each day looking forward to doing? Matt Botos: I actually truly love food safety. I like looking at where companies don't get it. It'd almost be like if you were a language teacher. There's that communication gap a lot of times between their auditor or their regulator or their customer that they're having trouble telling their food safety story. Connect Food provides that solution, so the most enjoyable part for me is taking something that you don't meet a lot of people out at lunch or a coffee shop that says, "Yeah, I'm a food safety expert." The educational part of it is good, too. I've had tremendous opportunity over the last two years to work with the FSPCA, which is the implementer for the Food Safety Modernization Act and teach over 35 classes across the country for creating either lead instructors or these PCQIs, qualified individuals that have food safety knowledge and they take it back to their facility. I think the educational part of it, too, is something I always look forward to, so whether that's having a phone call with somebody or seeing somebody that calls or writes an email and says, "Thank you. Your software is so easy to use and it's really good," or I personally, such as yourself, I like being out there in the field. Jamie: I'm just curious. What about food that's made outside the US? Does the US regulate that in the same way? Matt Botos: Sure. It's very difficult at times and remember, there's many, many, many agencies that regulate food from not only FDA and USDA, which we're most familiar with, but CDC, EPA, NOAA. It goes on and on. There's, I think, between 10 and 15 agencies that have their hands in food somehow. It's always a challenge to, once again, help with that translation more than anything else, so from a foreign perspective, we've had issues with products that come from other countries. Who's the regulatory authority that they're supposed to work with? How do we know that it's coming in? There's so huge volumes of food coming in. FDA, just part of the Food Safety Modernization Act, is the foreign supplier verification piece of that. They are pushing out there. We're kind of going up and down the food chain in a way that we really have never done before. We're saying, "Prove to us and tell your story," that's the reason we created Connect Food, "About how you make that product." If it's coming in from another country, we want to see that documentation. We want to see that you understand what we're asking here domestically and we want you to provide that same information. Of course, language is an issue, all kinds of different things, but it's only getting better and better. Jamie: Your product really is an international product, or in the future has the ability to be? Matt Botos: I'd like to say, "Yes," but I would be ... We've talked to a couple different groups about translation in the software. We'd really like to do that. Like I said, I'm really proud of what we've done, especially the last two years, and gotten the technology. Once again, I can only say that the team is the one that did it to the point where we can provide solutions, currently in English, for anybody that can log on and can handle the software. Jamie: Kind of switching topics a bit. Since 2011, what has been the most challenging time in running Connect Food? I guess, was there a particular event that led to it and then kind of how did you get through it? Matt Botos: Well, I think money's always an issue. The number one thing is, "How do you get funded?" Friends and family have been fantastic. Everybody's chipped in at different times. I think there was a point in time, maybe three or four years ago, where everybody on the team was frustrated, whether it was money or someone saying, "Hey, Matt. You're not doing your job as CEO," and I said, "Well, of course I am." Upon reflection, these people were right, so at the end of the day, I think we kind of hit a low spot between cash. Technology was never an issue and the food safety knowledge was never the issue, but how were we going to come together as a team and really implement this. Between money and synergies and efficiencies, that was really the hardest time because there's sometimes you go, "All right. We created this and then what's it worth now? Why don't I just sell it?" We got past that hurdle and I think finding money is tough in Chicago. I've really found that. Everybody talks about the coasts, the coasts, the coasts. I mean, this is the bread basket of the entire United States. You would think money would be easier to find, but also, I can once again put the blame on myself. Maybe I haven't tried hard enough to get that money because everybody in the company is an owner at some different level. Do we take other people's money and dilute? Or we're so close right now. If we had 1,000 people in the system right now ... Well, actually we do have 1,000 people in the system. We don't necessarily have 1,000 paying people, but you're trying out new things, too. You just want people to adopt, so I think cash flow's always a challenge. Jamie: I've been there, for sure, cash flow. I remember I have a D-Day. I can't remember what year it was. 2013, maybe? 2014, when the utility program ran out of money abruptly. It was January 5th. I had just spent $20,000 on inventory and it was literally two days later that they had inventory arrive, get it all on the shelves ready to go, and then the utility program ran out of money. It was four months. We had to ride it out. Those are the times when my wife has been more patient than I deserved. Matt Botos: I think the ability to ... the sleepless nights, and to get through 'em and once again, have people around you that are supportive is the most important part. Jamie: I don't know if you feel this way, too, but I find that sometimes those hard lessons I've taken over the years, I stick with, I hold on to 'em a little too much. I get a little bit too risk-averse at times now and that's not my nature because I'm holding on waiting for that next shoe to fall off. I don't know. Matt Botos: There was a quote, there's many different versions of it, but I'll never ... It was off a TV show, I don't know, 15 years ago. It says, "I am what the world considers successful, but I've failed so many more times than I've ever succeeded." Not my line, but you have to just keep going. I mean, there's no other option. Jamie: Well, and I think a lot of times, people do, for whatever point they're in life, they have to move on and give up their dream and move on to a real job. I've been at that point so many times that I've got a lot of respect for people that make that choice and a lot of empathy. Sometimes we're fortunate to keep pushing through and sometimes we're not but definitely sticking with it is part of what builds success. It takes time and it takes a lot of grit. Matt Botos: When you're an employee-owned company, I think that everybody gets frustrated at different times, but at the end of the day, when we're that "big success," we're success now, but when that financial goal is hit, whatever we decide that is, it's going to be worth every minute. Jamie: Yeah, you were saying three or four years ago was when you were at that low point and it's funny. I remember it must have been three years ago that I was at some kind of State of Illinois thing and I grabbed a picture. They were talking about Connect Food. Somebody from the State was talking about it and I texted it to you and you said, "Really? I didn't know that was going on." Sometimes, there's momentum happening even outside of your purview. Matt Botos: Absolutely. People say, "Well, why don't you take your business to another state?" There's challenges in every state, but we're from Illinois. We grew up here. I want the Illinois company success story to be told again and again and again. That happens under different governors, under different mayors, under different elected officials, different agencies we worked with, but food safety's one of those things that it's hard to throw stones at because everybody wants safe food. It's good to have partners that believe in you. Jamie: Well, Chicago's got ... I mean, it's obviously a huge ... I mean, we were built on cattle coming into the city 100 years ago. Matt Botos: Absolutely. We have ... Well, once again, these are estimates and these numbers fluctuate, but it's estimated that we have about 4,000 manufacturing facilities or food companies in the state of Illinois. We have 73,000 farms. Cook County alone, I think, has 600 to 800 food manufacturing establishments. Matt Botos: I mean, everybody ... You just know what's in Chicago. I mean, sometimes you can just smell the chocolate. Jamie: I used to live right by that Blommer Chocolate Factory and I think that's why my wife married me. Matt Botos: It's a fantastic city. It's a fantastic state. It's a great state and we have so many resources. We have the Institute for Food Safety and Health here, which is the awesome partnership between universities, regulatory authorities, FDA specifically, and companies that we have here. We've got massive food companies here and you go down the street to the hatchery or some other local foods event and you've got people just say, "I've got a great idea and a great recipe." The good thing is, they all need a food safety plan. Jamie: Yeah, Chicago gets a bad rep for sure and I get frustrated by that. I'm with ya. People often ask me if you want to ... My business has changed over the years, but we could theoretically move outside of Illinois and expand. I just think there's ... I do a lot of visits to manufacturing facilities and every part of Chicago's got more than you would imagine. It's unbelievable how much depth Chicago has, so I'd rather just personally grow my business going deeper into Chicago. Illinois' a great state. It's got its problems, for sure. Matt Botos: Well, but as long as I think business owners like ourselves commit to staying here, then that's really what we need. Jamie: That's how it was built, the dredges of the canals were built by the early civic society and Chicago needs the next group of leaders to stick around and do it. We've got it, for sure. Matt Botos: Maybe we'll be important someday. Jamie: We'll see. We'll listen to this in 10 years and then say, "Oh, well maybe not. One of us was. Matt was. Jamie wasn't, but that's okay." The last question I always ask people is, and this is just because it's kind of my personal passion and what I get to do with my time is to interview people about my passion, but tell me about your experience in making sustainability a priority in how you've grown Connect Food? Matt Botos: Sure. I think sustainability's always ... At one point, I think I had a tagline on a business that said, "Safety, security, sustainability" and that was the big keyword, but I think it's more about efficiencies. I was telling you this story, writing something down the other day and thing at the top of the list is "Do not procrastinate." I think it's about efficiencies. I think it's understanding the strengths of your team. One thing that we've done poorly and we've gotten better at it was, "What are we spending our time doing? Do we really need to run forward and get this done or is there some way we can be more efficient or more sustainable inside by not 'hurry up and wait' kind of thing?" I think that between our team at Connect Food that that's been highlighted. If you don't talk about it, you can't fix it, so we definitely talk about that, sometimes more aggressively than other times, but I think just realizing where your weaknesses are and being comfortable with your strengths makes you a more sustainable company. I really feel that we're not perfect by any means, but we're doing a much better job. Jamie: Well obviously, sustainability and food safety ... The food movement has changed so much and with local comes different concerns, I guess. Matt Botos: Yeah, sustainability in food manufacturing, what we really try and do is give people tools so they can be as efficient as possible. Once again, I don't care if you're baking or making a salsa or whatever you're doing. We want you to be able to tell your story in the least amount of time with the best information. Sometimes you don't even know what you're doing well and so when you talk about sustainability in food manufacturing, that's efficiencies, but it's also, "What are my inputs from an energy standpoint?" I mean, there's so many of these facilities. I've been to, I don't know, hundreds and hundreds of food facilities and some of them are just old buildings that somebody retrofitted and energy consumption's horrible. They don't care because they're making money. Then you've got other people with a LEEDs building, but they're not sustainable in their manufacturing because they bought the wrong equipment. The food industry continues to, from a ... I mean, food technology is such a cool business and it surrounds us from what you pull off the shelf to drink to what you put in your stomach to how it go there, it's amazing. I think the food industry, many companies do it very well. There's also a large portion of those companies that could be more efficient, whether it's the materials they bring in, what they're bringing in, the energy usage that they have, where they're getting their products from. Jamie: This is a little off topic, but I'll ask it because we've got a little more time, but I remember studying in grad school and the conversation was the carbon impact of how food arrives at different places and train and boat was far more efficient. I think it was 20% or 10% of the carbon impact as flying. Does most of our food come by rail in Chicago or is it flown in? I'm sure seafood is flown in. Matt Botos: Sure. O'Hare is obviously a major entryway. From a percentage standpoint, I couldn't quite tell you. I would say trucking is the one that I recognize the most, but we were talking about this the other day, about is there one food organization to go to for all this information. If you look at shipping everything from soy and corn, which were always one or two with Iowa in production there, that is a big rail business, so it depends on the commodity. It depends on the price-point, so packaging material a lot of times is trucked in, but resins for people that manufacture packaging are a rail system. From a commercial ... I mean, geez. All of our seafood comes from some kind of commercial shipping vessel at some point. It travels some other way. The scope is so big. To try to write out that equation ... What are we focused on here? Are we focused on tomatoes? Are we focused on animal feed? Are we focused on produce? It's kind of all over the board, but I think in all aspects, everybody can always do a better job. Jamie: Well, that's one nice side benefit of the local food movement, is that you get fresher foods and the environmental impact of bringing it to you is lower. Matt Botos: And we're excited to be able to be a part of that food chain where I don't have to necessarily get on an airplane and fly to a local foods person in Boston or New York. Now, they can get online and interact. From a sustainability perspective, I do want to take all of food safety consulting business away from them, but you can see there's little impacts all over the place. Jamie: Well cool, Matt. It's been great connecting and talking. It's been too long. Matt Botos: No, it's always good to see you, my friend. My friend for ... I was doing the math in my head and it's been 25 years. Jamie: I think it was '96. 1996, I think. Matt Botos: All right. Well, Jaime, thank you so much for having me. Jamie: All right. Great. Thanks again, Matt. Take care. Want to save more on your energy bill but don't know where the savings are? Download our free energy efficiency checklist to find all the savings possible!